The momentum behind engineering in K-12 keeps building. 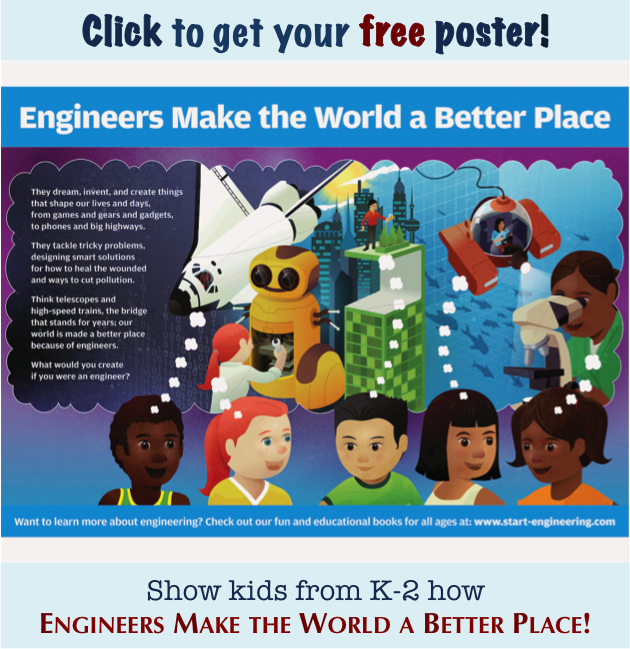 Our new company, Engineers On Deck, is aimed at helping teachers join in on this fun. Over the last two posts, we have been tracing how engineering has risen to new prominence in K-12 education over the last 20 years. 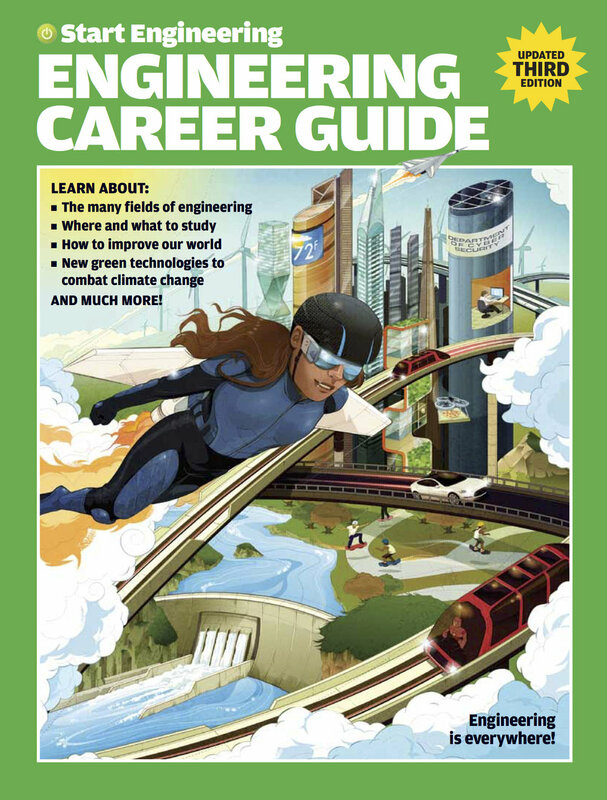 The rising arc of K-12 engineering, we have seen, owes to general concerns about U.S. innovation and competitiveness combined with new Next Generation Science Standards (NGSS) for learning organized around engineering design as a topic for elementary, middle, and high school learning. While the K-12 engineering spirit might be lively, fleshing out the project in actual classrooms with actual teachers and students remains a stiff challenge. The crux of the challenge, as we have argued, lies in teacher training. It remains a great and honorable task to prepare and support the largely unprepared teacher cohort in making engineering a substantive part of their knowledge base and pedagogical practice. Teachers respond with enthusiasm and interest to the prospect of learning about and teaching engineering. The good news in teacher training appears in teachers’ receptiveness to engineering design as part of their work. A survey of science teachers in Arizona, for example, from all levels of K-12, found high interest in both learning about and teaching engineering design. On a four-point scale, with one showing least interest in learning more and four greatest, middle school teachers registered 3.56, high school teachers 3.11, and elementary teachers 3.0. Their interest in actually teaching engineering design came in at close to 3.5 for all three groups. The same survey also highlighted the challenges. Teachers reported very low scores in both existing ability and perceived opportunity to teach engineering. The biggest obstacles were, in order, lack of time to learn about engineering, lack of training available, and low levels of teacher knowledge about the field. Other studies support these findings. 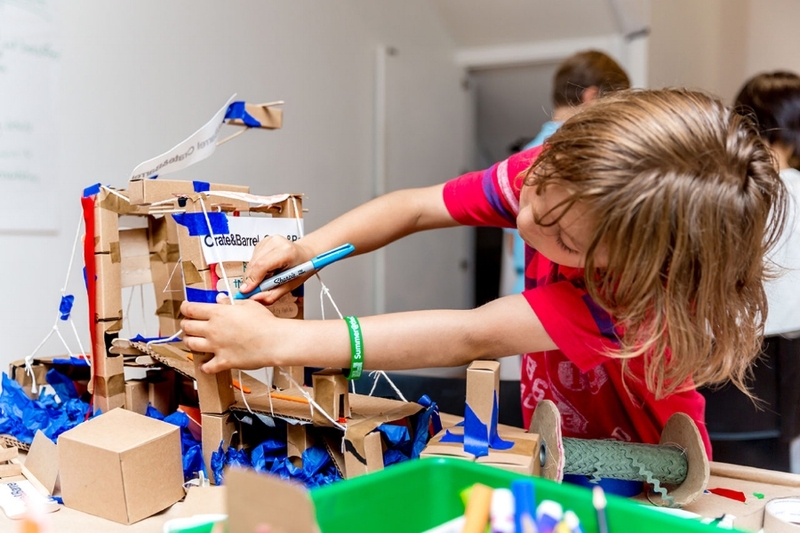 The National Association for Research in Science Teaching issued guidance for implementing the NGSS vision of engineering that identified teacher training as “Challenge #1” in the effort. Our own 2016 survey of K-12 engineering experts also identified teacher training as the biggest obstacle. Anecdotal, but extensive, experience we have had — talking with teachers at meetings and gathering their responses to our K-12 engineering books — reveals both these sides of the K-12 engineering phenomenon: real enthusiasm for learning and teaching it but confusion and even fear over how to get started. Engineers On Deck is a teacher training non-profit that seeks especially to help under-resourced and under-served groups make engineering part of their K-12 learning experience. This dynamic has inspired us to launch Engineers On Deck, a new, workshop-based enterprise in the field of K-12 engineering teacher training. Its mission takes square aim at the challenges teachers face in just getting started with engineering in their teaching activities. To make this effort succeed, we have partnered with nationally prominent experts in developing and delivering teacher training in engineering and applied sciences for all levels of K-12 educators. Working with our partners, we incorporated Engineers On Deck and got it approved as a charitable organization in 2017. And earlier this year, we launched pilot program activities that brought encouragingly positive preliminary results. 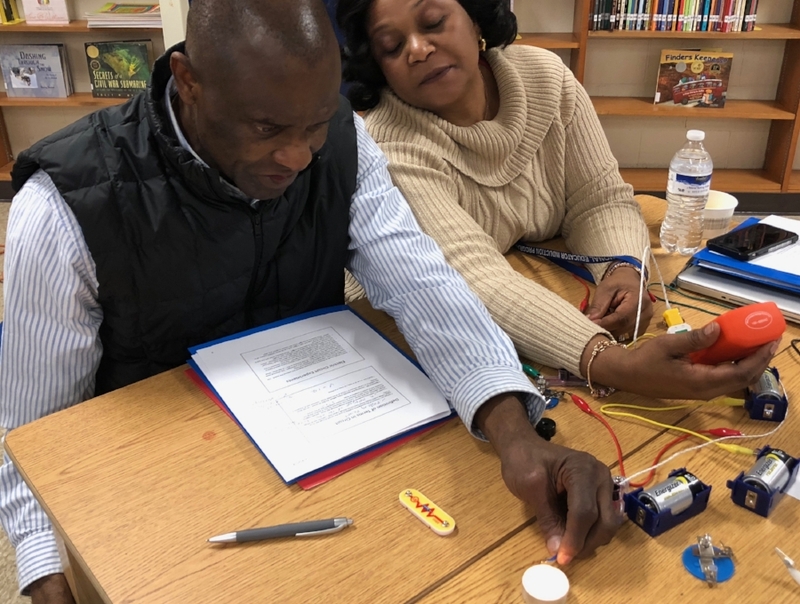 The first Engineers On Deck workshop brought engaging, hands-on learning activities to a diverse group of middle school teachers. 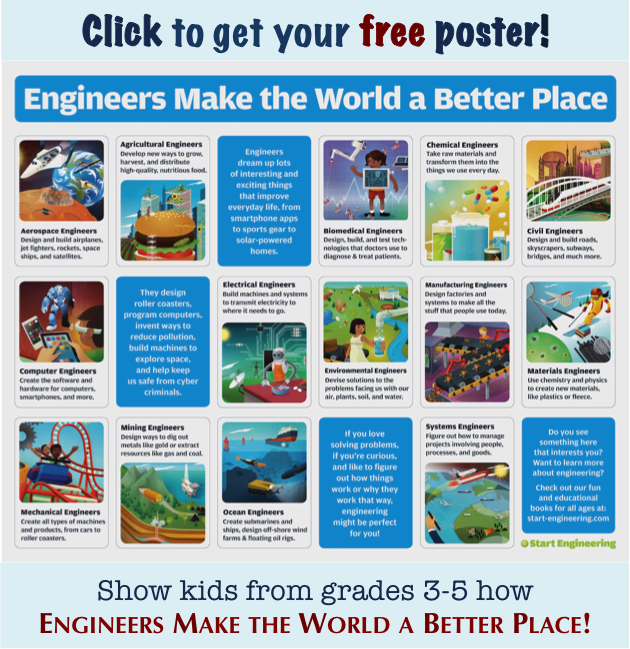 The Engineers On Deck approach teaches engineering design as a way to integrate and leverage math and science learning. The training program is designed to enable teachers to make engineering a viable, imaginable field of study and possible work for their students. Workshops are customized to fit the content needs, schedules, and capacities of individual districts or teacher organizations. Subject matter can be designed to supplement areas of existing emphasis or interest, and the training is always hands-on and based on real-world problem-solving exercises. From planning to in-person training to post-event follow-up, Engineers On Deck is a responsive, adaptable partner in the important work of setting up teachers for success with K-12 engineering. Our mission to expand opportunities in engineering for K-12 audiences includes special focus on under-served and under-represented groups. Engineering is founded on a problem-based approach to learning, grounded in real-world scenarios. This approach, as it happens, reflects methods that numerous studies have shown to be helpful in attracting girls and minority students to the field. We are developing partnerships with organizations, both educational and otherwise, that are also working towards diversity and opportunity in engineering. And our funding model is based on a goal to provide training either free or at very low cost to under-resourced schools and districts. After Engineers On Deck training, we envision teachers in STEM fields with little or no background in engineering learning to present the field as relevant, engaging, and open to all their students. They will have learned the basics of engineering design and how to integrate it into teaching content from other STEM fields. And they will take away immediately usable knowledge and tools to make engineering a substantive feature of their students’ learning. We are excited about the potential for growth and impact that Engineers On Deck promises. With strong funding partners in the development pipeline, we expect operations to launch and expand notably through this year and next. All our Start Engineering friends are warmly invited to join us on this journey as supporters, partners, or even workshop participants. Sign up to receive news updates by email and check in at Engineers On Deck to see how things are going. And spread the word among interested colleagues and friends. Training teachers in K-12 engineering is a job big enough to reward the efforts of any and all interested parties.